The controller who receives the 999 call from a member of the public requesting help from any of our blue light services only knows what they can glean from the caller. He or she doesn’t really know what situation on the ground is really like. 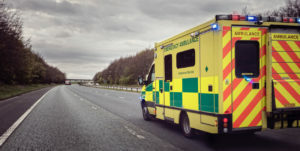 The horrific incidents in Westminster, Manchester, London Bridge, Finsbury Park and Grenfell Tower have all brought justifiable praise on the emergence services but other incidents dealt with daily across the country where the drunken, drugged detritus of society must be cared for when often ambulance crews are abused, fire appliances stoned or police officers threatened. Mitigating the security risk to allow emergency services to do their job is increasingly complicated. The recent WannaCry cyber-attack that affected large parts of the NHS showed the vulnerability of many legacy systems and a hack of city CCTV systems in Washington days before the Presidential inauguration highlight increasing cyber vulnerabilities. So you now have to ask who else is watching the CCTV feed from inside your ambulance? What if terrorists cause traffic meltdown by hacking traffic control systems just before a major incident? These are just some of the scenarios that until recently would have been consigned to Hollywood sensationalism. Today they are reality. Increasingly, technologies have crossed from the security sector and now aid emergency services in keeping safe, like body worn video, CCTV in vehicles, stab vests, noxious substance test kits and others that aid emergency services responses such as fire detecting CCTV cameras, joint security/fire monitoring and alarm systems, drones with thermal cameras and much more. Given the increasing security threat landscape and potential for dual use technologies, Philip Ingram, a contributing editor with the UK Security Expo, gives a taste of a few items on the market. One of the most convergent systems comes from a UK-based company called Ciqurix. They piggy back IR sensors on an existing IP camera system and add some specialised digital analytics that can detect the presence of a flame in seconds. This combination of IR with enhanced digital analytics allows fires to be identified in very quickly. Like Ciqurix, Bosch have a system called AVIOTEC, which uses advanced video analytics that look out for flame and smoke characteristics and is designed for fire detection in challenging environments. It seems many CCTV manufacturers are seeing wider opportunities as their video analytics capabilities advance. Keeping with the video theme, in a survey conducted with Emergency Services Times as far back as 2014, most Paramedics and Police said they saw a need for body worn video (BWV). The police saw BWV as independent evidence gathering devices and paramedics saw it as a way of recording violent patients and patients who refused treatment thereby offering some form of protection especially for those working on their own. Paramedics also saw a secondary potential use and that was relaying information back to doctors helping to speed up diagnosis and potentially life-saving treatment. In 2014, mobile connectivity wasn’t quite there but now with 4G networks and 5G on its way, this is a very realistic capability. Moving that kind of medical data around brings risks of its own with data privacy being paramount. The WannaCry cyber attack that affected the NHS and then notPetya cyber attacks that are affecting drug supply companies such as Merck, as well as many other industries. While it didn’t directly affect emergency services, some hospitals had to close their emergency departments and many community services were disrupted. 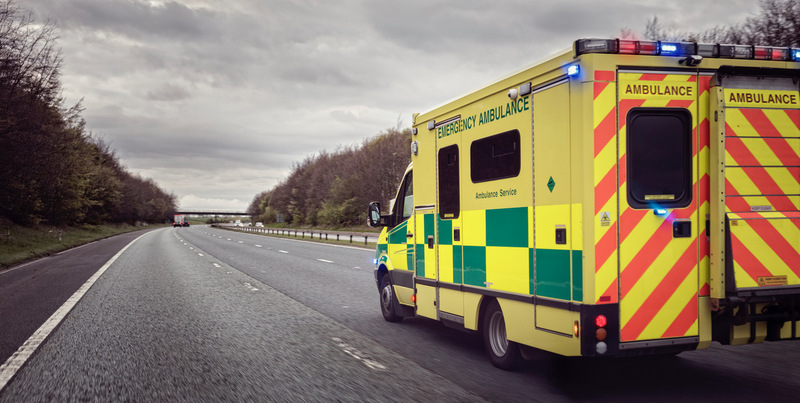 With an increasing number of connected devices used by emergency services, it is only a matter of time before an attack does have a direct rather than an indirect impact. Many new technologies are on the horizon to help emergency services and one to watch is a ‘see it on a stick’ first responder card. In effect, it is a mini laboratory that allows near patient or roadside testing for hazardous substances such as explosives, drugs of abuse, CBRNe agents and much more. Developed by a UK based diagnostics company called Selective Antibodies is only one example of the innovation that is out there. To learn about the vast number of convergent and new technologies but also to put an emergency services flavour into the discussions and debates, put 29 and 30 November 2017 in your diaries and attend the UK Security Expo at London Olympia in London for free. Don’t forget to register at www.uksecurityexpo.com so the organising team know you are coming.